Disclaimer: The purpose of these articles is not to support illegal or intended illegal action of the reader. It’s to show how aquarium products (lighting in particular) can be used in an industry that is ever growing. The author is in no way responsible for how this information is used. Cannabis plants are very “high energy” meaning they require a lot of energy from the sun. This energy or total flow of light from the sun is measured in Lumens. One Lumen would be equal to one flow of light from a very small wax candle. For example: A 85 watt SHO bulb that produces the same wattage as a standard 425 watt incandescent bulb has a Lumen output of 4,680 lm (Lumens). So the efficiency of the bulb is 4,680lm/85watt = 55.09 lm/watt. LUX is actually the intensity of light hitting a surface and is used to determine the proper amount of grow light needed for plants. It is measured in lm/m2. To find the Lux a bulb produces, you would take the bulb and direct all the light towards a surface area measuring 1 square meter. On a clear summer day, the sun gives off something close to 32,000-130,000 lux in the direct sun. This is relative where you are located on a longitudinal axis. The closer you are to the equator, the more direct sun your plants are getting. 5,000 lux is minimal for life of a ‘high energy” plant. 90,000 lux is considered the max Lux and anything more would damage the plant. 25,000-50,000 lux is optimal for fast growth. 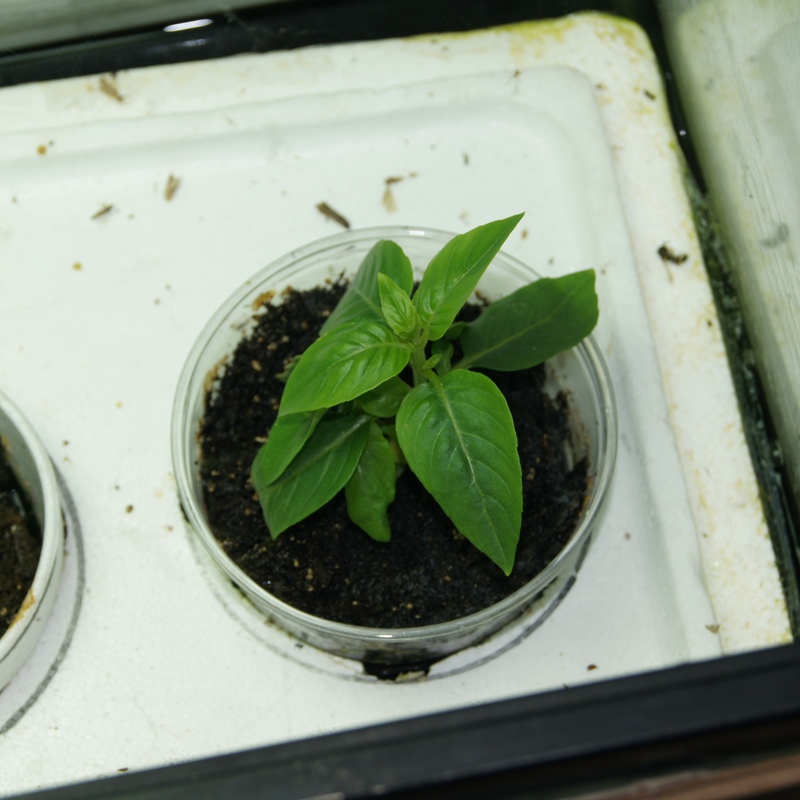 Different strains of plants require more light to grow. This is why Sativa and Indica strains naturally grow in two different climates of the world. Sativa requires much more Lux to grow than Indica. Plants that are “high energy” require a minimum of 5-8 hours of this direct sunlight when grown outdoors. 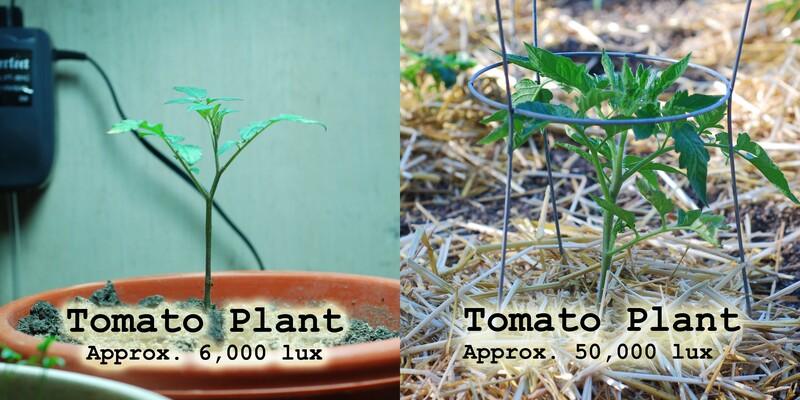 Growing indoors gives you the ability to control the amount of light given to a plant at different stages of growth. For strong high producing plants, they will require 18-24 hours of light for 4-6 weeks. This is called the Vegetative Stage. Many growers use 18 hours of light believing that 24 hours will produce unneeded stress for the plant and the difference between 18 hours and 24 hours shows little difference in plant’s yield. Low amounts of Lux in this stage will result in slow growth and less vegetation. Plants will grow taller rather than outward, resulting in the end yield to be much less. This stage may need to be extended longer than 4-6 weeks if a low amount of Lux is being used. Plants shown in above pictures were grown from seed at the same time. One was planted in an outdoor garden, while the other in an indoor grow set-up. After the Vegetating Stage is the Flowering Stage. 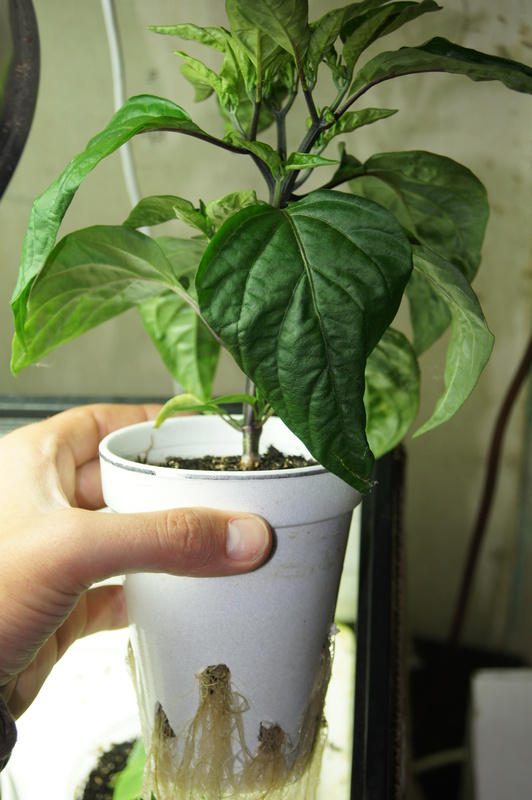 During this stage, the plant will need 12 hours of strong direct light and 12 hours very dark. Low amounts of Lux in this stage will result in slow vegetation growth meaning few buds. 30,000 lux would be considered to be a low amount of Lux for the Flowering Stage. More light can always be used, but keep in mind that more light means more heat output and generally more cost. This is something that the grower needs to consider during the beginning stage of setting up our indoor/enclosed grow set-up. Note:The numbers provided in this table are from lights that are mounted between 15-25 inches (the height required to fill an entire square meter). Realistically, You would never want to mount your lights 15-25 inches away from your plants, unless the lights you can afford have a very high Lumen rating. Lumens are lost when the lights are mounted to high. The closer the light source is to the plants, the more intense Lumens the plant is receiving. Mount your lights on a pulley system and always keep the lights 3-5 inches from the plants. Hoods and reflective surfaces will amplify your light source. 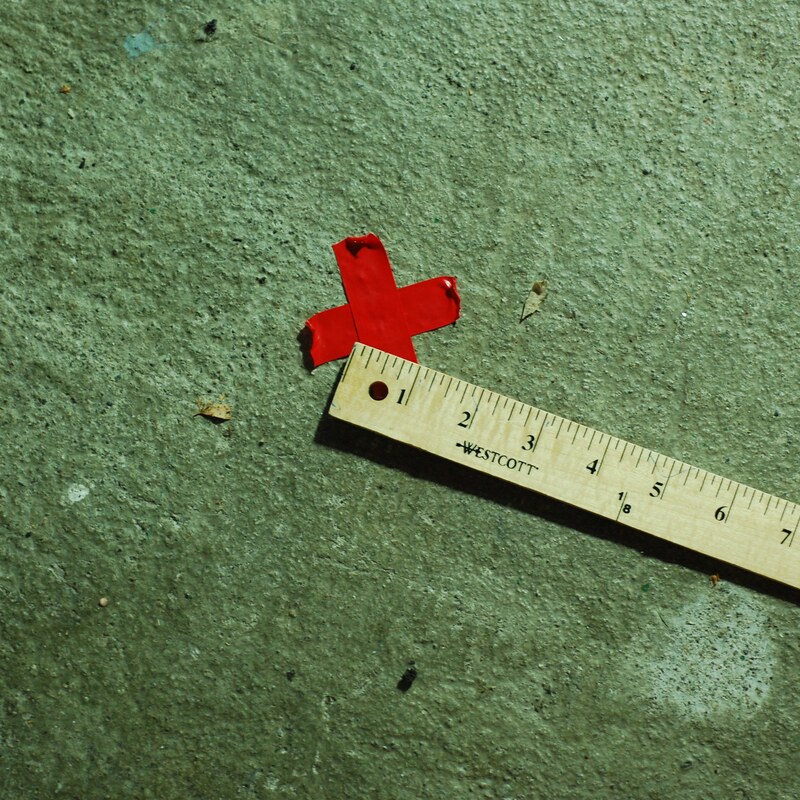 Measuring Lumens in anything smaller than one square meter can be tricky. Remember the Lux rating listed above is over a square meter. *Keep in mind that the larger the aquarium you are using, the more plants you can grow. This also means a larger light source is required. *Different grow mediums can be used. For a cheap medium, try volcanic rock. 1. Start by taking your aquarium and making it so it’s going to retain as much light as possible. Tape white card stock around the whole outside of the aquarium. White card stock is going to make it so all light shined into the hydro system is reflected back to the plants leafs. This is giving your plant as much light as possible with the lights you are using. 2. Next, tape black card stock right over the white card stock. This blacks out any lights that is not reflected and is trying to escape. Set the tank aside for later. 3. Take the Styrofoam cups and trace the diameter of the top of the cups onto the piece of 9’’ x 19’’ Styrofoam. Make sure that the cups are evenly spread and centered on the Styrofoam. The cups will slide into the holes cut and will float onto of water. This is the platform your plants will grow on so making them balance under weight is key. Cut these holes out. 4. 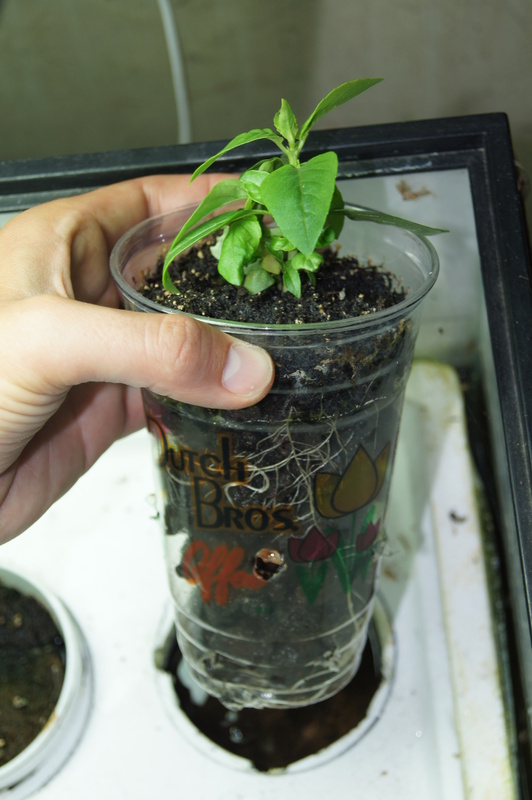 Make small holes around the entire Styrofoam cups. This will allow for roots to reach the nutrient water. 6. Fill Aquarium about ¾ of the way full. Add nutrients to water at this point. 7. Add air pump to aquarium with the air stone attached to the air line tubing. Roots that are sitting in water need oxygen; the more oxygen the better. Try and use an air stone that has medium size bubbles; so not to damage the plants roots. 8. Float Styrofoam piece on water in the aquarium. Gently place Styrofoam cups into the whole. Styrofoam set-up will float. 9. Suspend lights over aquarium tank. At first, lights will most likely sit directly on the aquarium. Use a reflector for your light if need be. As plant grows, the light will need to be raised to be directly over the top of the plants Usually 3-5 inch will work. Set timer on lights to turn off and on for amount of time light that’s needed. Wholaa, and there you have it. 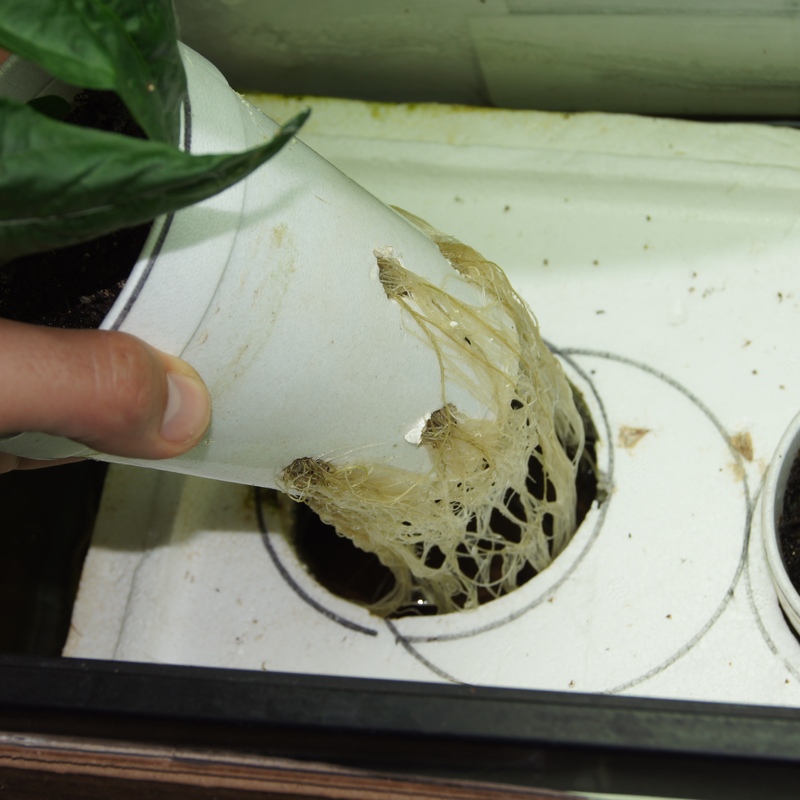 This is a very simple (one of the simplest) hydroponic set-up. Remember to track your plants progress so you can make adjustments as needed. None-the-less, if you can only afford an inexpensive light source, this hydroponic set up works great for clones. Also, something to keep in the back of your mind are insects and temperature of the hydro set up. Using a fan can help protect your plants, keeps the set-up cool, and helps builds strong stems.